Most people enjoy listening to the radio when they drive. Unfortunately, cranking the music up loud makes it easy to zone out and turn attention away from the road. It is vital to be aware of how distractions increase the likelihood of a car accident, and listening to music can play a role. Several years ago, Accident Analysis and Prevention published a report that showed teenagers who listened to loud music were much more likely to end up in a motor vehicle accident than teen drivers who did not listen to music. While the study focused on younger, more inexperienced drivers, all drivers can benefit from having fewer distractions inside the vehicle while on the road. Researchers studied 85 teen drivers for the purposes of the study. The drivers needed to go on routes where they did not listen to any music and other routes where they could listen to a playlist of their choosing. When the teen drivers listened to music, the instructors were much more likely to intervene due to poor behavior. The researchers found that all of the teen drivers committed serious safety errors when music was on. When most people think of driving distractions, they think of something tangible, such as looking at a phone or eating. However, simply listening to music is enough to take drivers’ minds off the road. 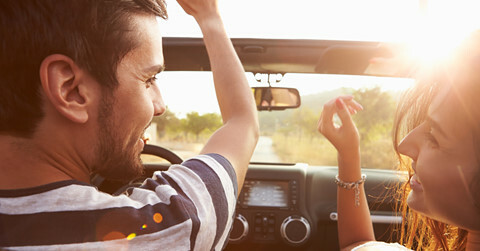 Although listening to music is a passive activity, it still takes up mental faculties to process the rhythm and lyrics, which could increase a person’s chances of ending up in a collision. Another study found that the volume of music also plays a role. A driver’s reaction time significantly decreased if the volume is higher than normal. While listening to music can help break up some of the monotony of a commute, researchers suggest listening at a reasonable volume, so drivers can still react normally to changes on the road.